Howard Chen and Guido de Groot, the talented and famous Dutch designer, who has designed many mega-yachts including some Feadship projects, have joined forces one more time after the successful launch of the Selene 92 Ocean Explorer. The result is a beautiful compact super-yacht containing many of the features one would only find on a much bigger yacht, like an exceptionally large flybridge with enough space for a dining table, a barbecue and comfortable loungers. The decks can even support an optional jacuzzi! For the owner who intends to hire a professional captain, the accommodations aft are ready for three crew members, with their own private head. This beautiful yacht will be an eye-catcher in St-Tropez or Miami. But in its heart it’s also a strong passagemaker like any other Selene Ocean yacht. It has a perfectly laid-out engine room, the most up-to-date systems and a state of the art pilothouse. She will be ready for world voyages, and can also easily be operated by a couple or a family contemplating a circumnavigation. The launch customer for this new design has specified a wide body layout in order to increase the salon beam. It is being designed to offer a better visibility for his guests from inside. 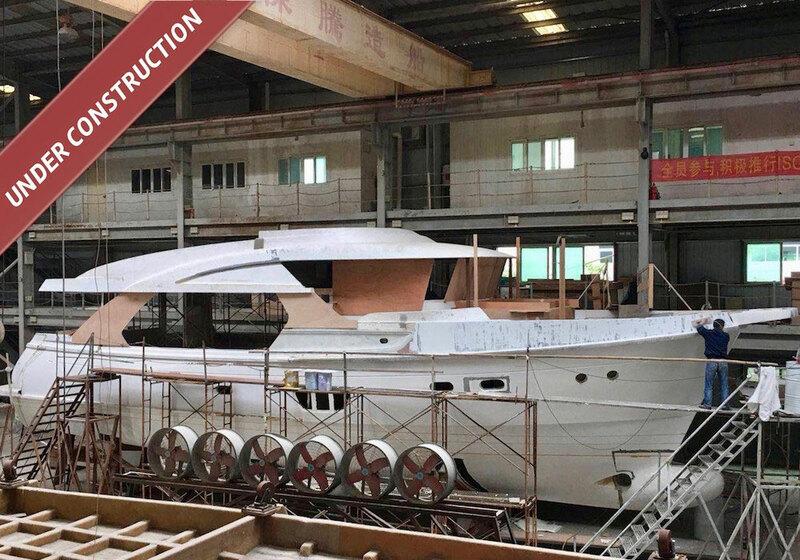 Future boats will be available with a more typical, one or two sided decks configuration. A single or twin engine power plant with 2,000 gallons of fuel will push the Selene 60 Guido de Groot at 10 knots to any remote destination in luxury and style. The yacht can be stabilized with hydraulic fins or Seakeeper gyro-stabilization depending on the owner’s preference. Stay tuned for more photos and the launching very soon!